Sailing holidays are great for so many different vacations and there are yachts and catamarans suitable for every occasion. From family holidays (young or old! ), girly getaways, mates holidays, honeymoons, relaxing retirement breaks, or a way to celebrate special milestones with as many or as few as you like. You could even combine business with pleasure, and reward your employees with a team-building week. A luxury catamaran provides the ultimate backdrop to celebrate your honeymoon together. A haven of privacy where you are free to go where you want and when you want. Take the opportunity to cement your bonds by trying new things together that you have only dreamed of. Or unite over the shared interests and hobbies that brought you together. Each night will bring stunning sunsets and a universe of stars to gaze on. 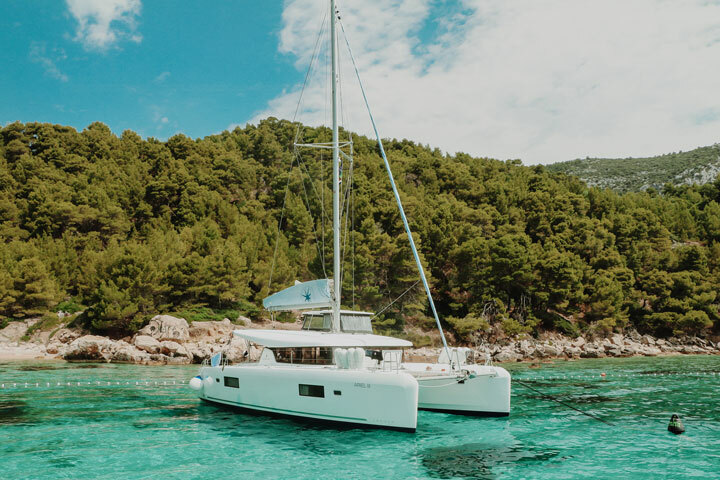 For more information on sailing for your honeymoon check out 5 Reasons to Honeymoon on a Private Yacht and, to read up on a real-life experience see Honeymoon in Croatia. What better way to enjoy your birthday than with close friends and/or family on board a yacht in Croatia? Perhaps a cohort of classmates celebrating entering your forties or fifties? Or a multi-generational family get-together to welcome the arrival of a new decade. Our biggest catamarans have six double cabins, allowing plenty of your nearest and dearest to celebrate with you. There are also crew quarters for the skipper (and hostess/chef) who will take all the responsibility and hard work off your hands. Alternatively, we can sail several boats together, providing plenty of flexibility in cabin space and budgets. Gather a group of your best mates and sail off for a party of a lifetime. Spend days relaxing and evenings partying in a different port every day. 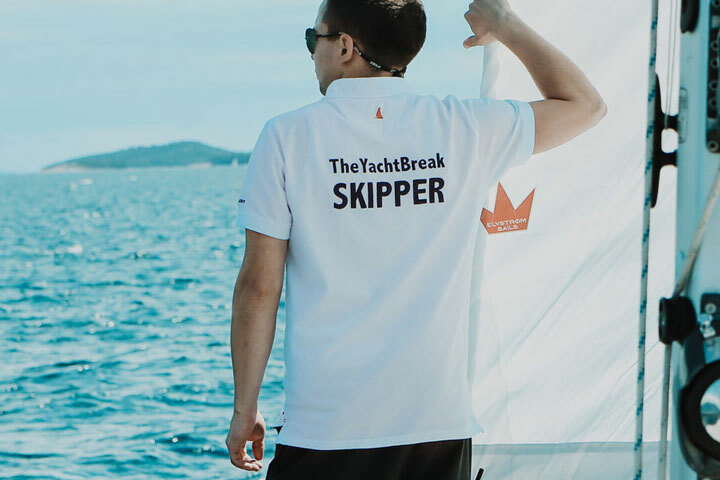 Our dedicated team at The Yacht Break will help you to plan the event so your sailing week goes smoothly, and you can focus purely on the bride/groom. Why not head to Hvar, known as the ‘second Ibiza’? Enjoy a week of sailing around the islands here and try out the nightlife in each port! With only short hops between each destination, there is a perfect balance between sailing, relaxing and partying! If you fancy rocking up to one of the famous Croatian music festivals, find out what is on in 2019 in this article. Sail off into your golden years on board a private yacht with a skipper to do all the hard work. This is a time to let the boat out and relax, whether you are a seasoned sailor who wants to shrug off the responsibility, or a fresh face looking to inspire a new interest. Perhaps you have always fancied sailing but want to try before you invest in your own boat? Chartering a yacht for a week with The Yacht Break will provide you with the experience you need to make an informed decision. Sailing can provide a great opportunity to unite as a team, bonding over shared experiences. Why not treat your employees to a week-long off-site on board a yacht? For further information read our article on team building sailing holidays. Why wait for a special occasion? Sail for the love of it! Enjoy the outdoors life with all the luxury and freedom that a yacht provides. Immerse yourself in the culture and buzz of Croatia. Feast on the fabulous food and wine. Bring your family and friends or come as a couple. Croatia has something for everyone. How can we help to make it super special? If you want help planning a special occasion, perhaps arranging surprises along the way, or organizing a large event, get in touch. We don’t stop at booking, we will help with everything! Whatever your budget or party size, we can help you to find the perfect yacht, catamaran, or even charter a fleet of boats!